Ric Fukushima is a California litigation attorney and is a member of the firm's Complex Litigation & Dispute Resolution group. Ric is an experienced trial lawyer and his practice covers all stages of the litigation process. Ric represents clients in a variety of litigation matters, including product liability, general commercial litigation, and intellectual property matters. Ric has represented clients before California superior courts and various state and federal district courts. Ric is also an alumnus of the Orange County District Attorney's Office Trial Attorney Partnership ("TAP") program. With the TAP program, Ric first-chaired two criminal jury trials to verdict and conducted numerous felony preliminary hearings. Ric started his career at Orrick as a summer associate in 2009. 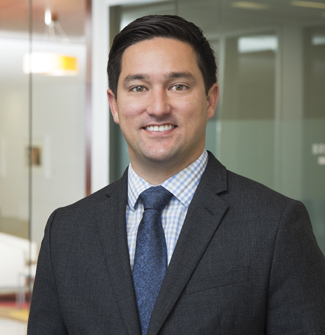 Before joining Orrick, Ric was an intellectual property intern at San Diego-based medical device company, NuVasive, Inc., where he assisted patent counsel on matters relating to patent prosecution and freedom-to-operate assessments.